Way back in the 1960s, when I was growing up in Boulder Creek, California, our next door neighbor, Mr. Umbarger, was a philatelist. We’re talking serious stamp collecting. His granddaughter Debbie, and I spent hours sorting through boxes and tins of stamps that he had clipped from letters over the years, then carefully soaked them off their papers, dried them and placed them in our little H.E. Harris stamp albums. 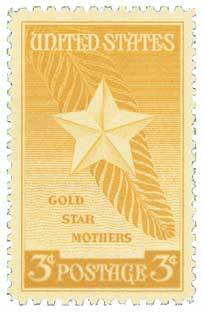 Because Mr. Umbarger had been in the service during WWII, most of our overseas stamps were from Germany and France, and of course, we had a hearty selection of USA stamps, including one honoring Gold Star Mothers. 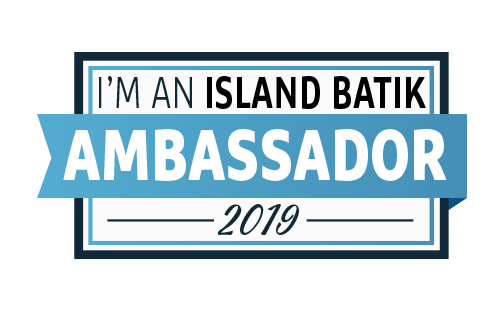 When I was in high school, I began researching the stories behind some of my stamps. During World War I, families of service members would sometimes hang a small red and white banner in a window, with a blue star for each family member away at war. If that son was killed, the blue star was replaced with a gold star. The star banners became more popular during World War II, and led to the founding of an organization called the Blue Star Mothers of America. The organization is still around, and some 6000 mothers strong, according to their website. Since we celebrate Veteran’s Day this month, I’d like to honor my father, brother, nephew, uncles and several cousins who have served, or are currently serving in the military, with this “Veterans’ Star” block. My block has a blue star because, thankfully, all of my family’s soldiers and sailors have returned safely from overseas deployments. Navy: four 2.5″ x 4.5″ rectangles and twelve 2.5″ squares. 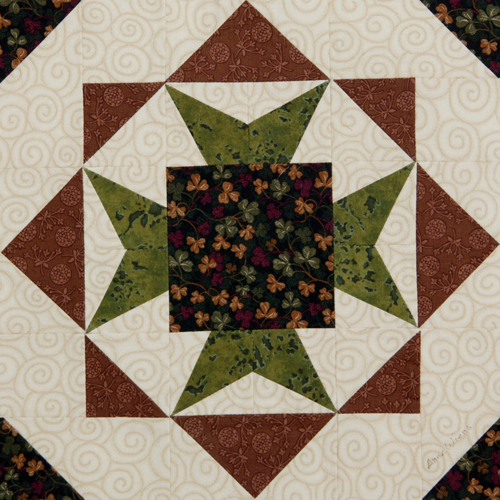 I use the “sew and flip” method to make the units- half square triangles, flying geese and wedges- we’ll need for this block. If you’re not familiar with the technique, you can click HERE to go to a previous post with a similar block. First, we’ll need to make four side units. Each one has two flying geese. Make four flying geese using the white rectangles and eight of the navy squares. 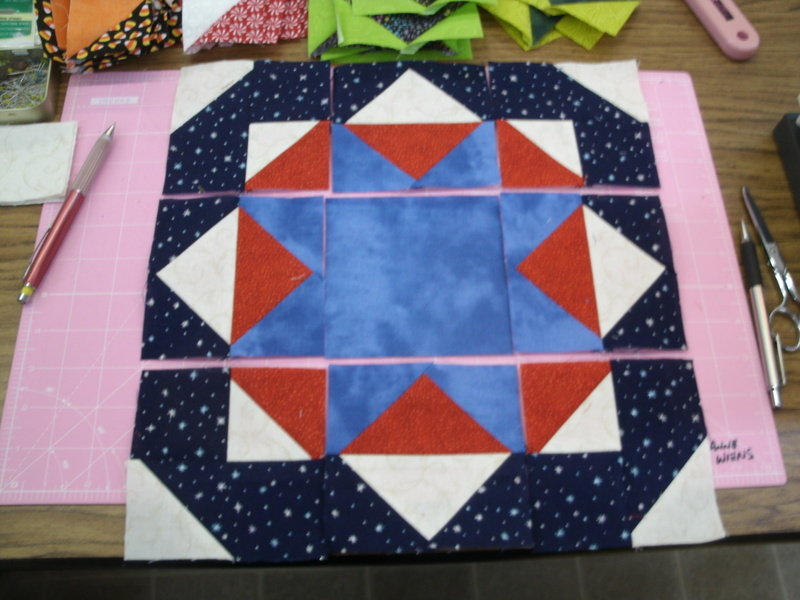 Make four flying geese using the red rectangles and small blue squares. Sew the flying geese together in pairs as shown, and set them aside. Next we need to make four corner units. Make four wedge units using the navy rectangles and four white squares. Be sure the white corners are in the upper right as shown. 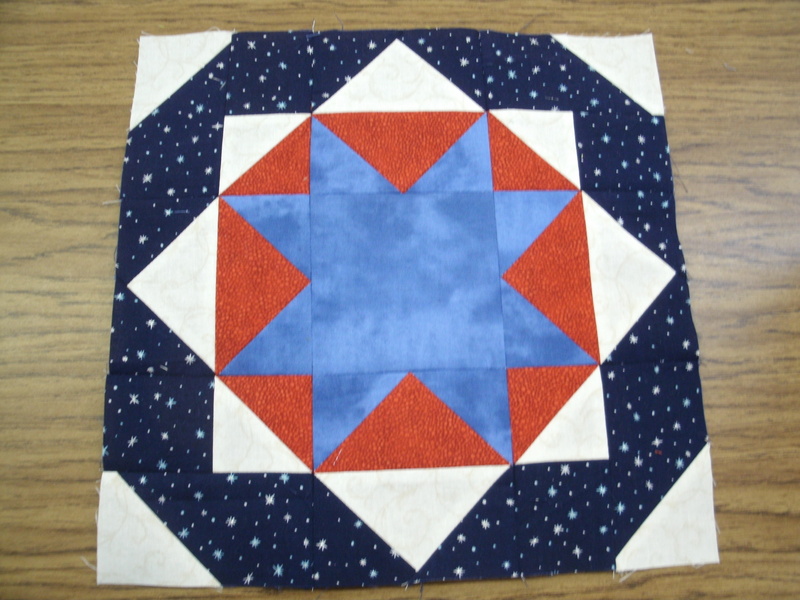 Use the remaining white squares and the red squares to make four half-square triangles (HSTs). 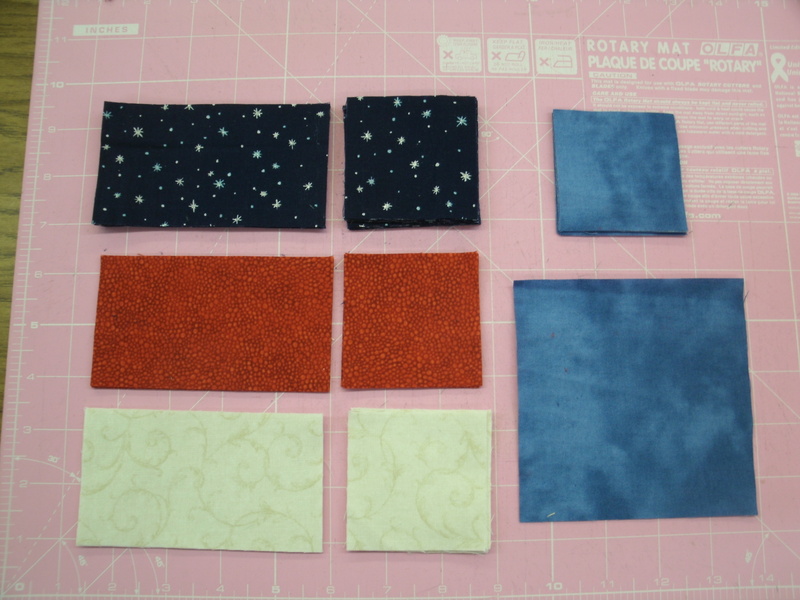 Sew the HSTs to the navy squares exactly as shown. 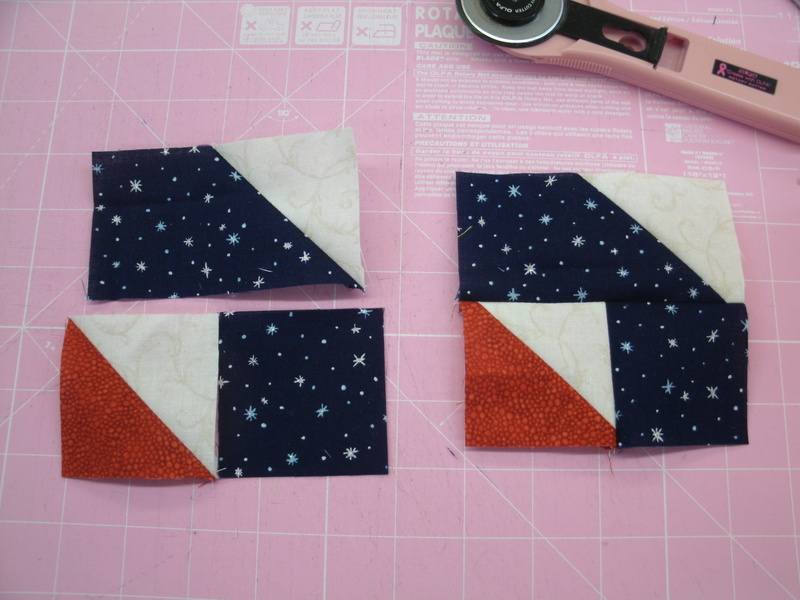 Now sew the wedges to the HST segments as shown. 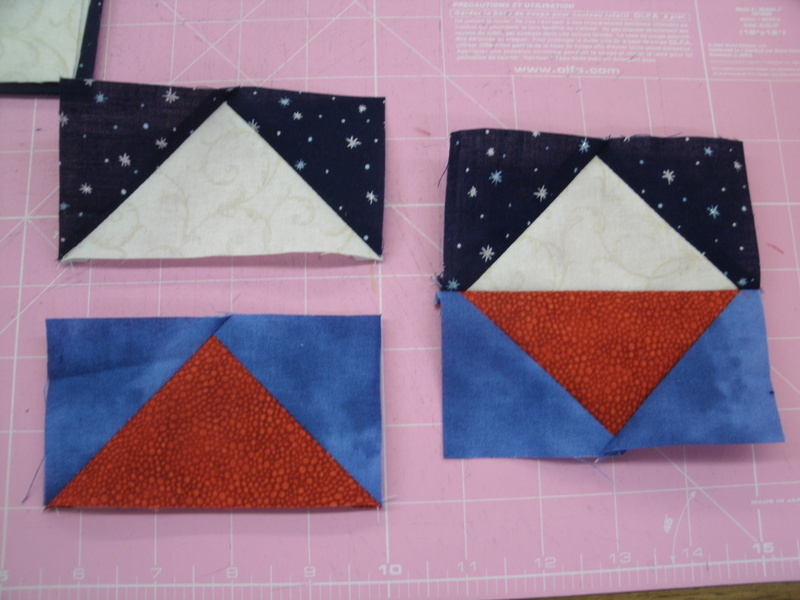 Now you can lay out the units as shown, sew them into rows and sew the rows together to complete your Veterans’ Star block. I have made several blocks now with that star border around an inner block. 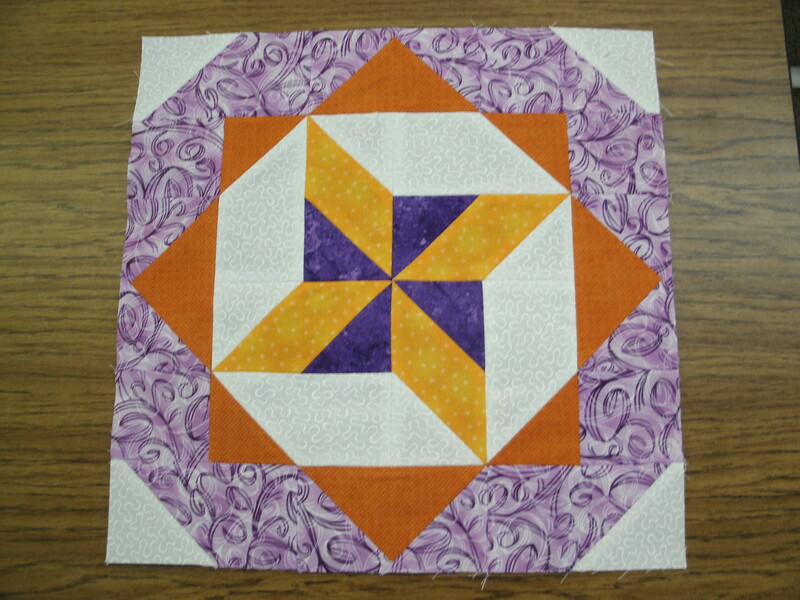 I may eventually wind up with enough blocks to make a calendar quilt!